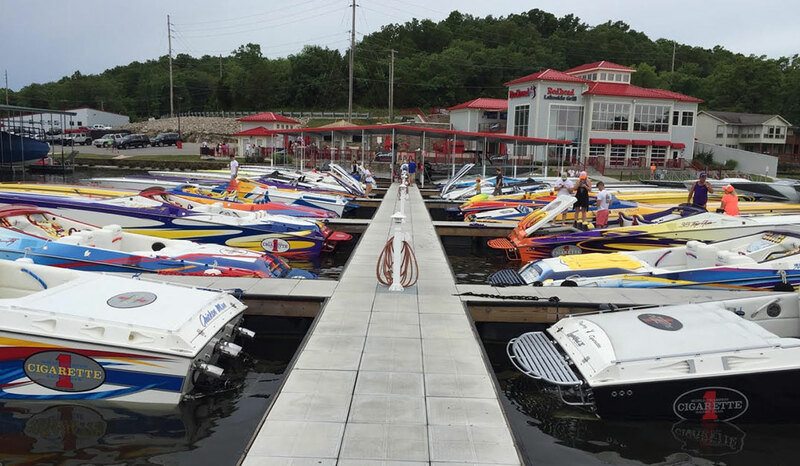 The Cigarette Rendezvous, hosted by the Performance Boat Center at the Lake of the Ozarks, outdid itself again this year with another record breaking attendance, cementing it’s reputation as the largest gathering of cigarette boats and owners in the entire world. According to Brett Manire of Performance Boat Center, there were 78 total boats registered, but with the a few extra boats that were registered he estimates the tally to be at or over 80 boats. Skip Braver and Bud Lorow from CIGARETTE RACING TEAM were on hand at the event and could not have been more pleased. Skip said the rendezvous was epic and was thrilled to be able to be on hand to support all of the loyal CIGARETTE owners. Bud was also very impressed by how well some of the older boats were maintained and how much pride and care the owners took in keeping the boats in such good condition. Cigarette models from the 80’s to the present made it an extremely great opportunity to see the evolution of the iconic brand over from the years. 31 bullets to brand new boats with turbo power and center consoles really showed off the significance of the Cigarette brand. Above all was the camaraderie and loyalty the Cigarette brand brings. 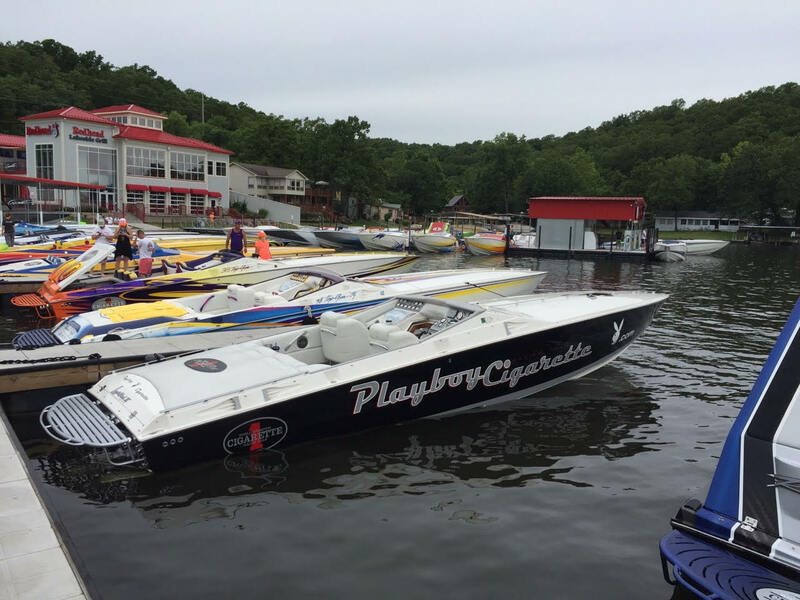 Boats came in from all over the country and the Cigarette bond was clearly evident through the friendliness of all the boaters that made the entire event so much better. Of course, with the incredible planning and execution by the organizers at Performance Boat Center, the run went off without a single hitch or accident. The food was great and the service and logistics provided by Performance Boat Center were unparalleled. We look forward to seeing what’s in store for next year!